The Sunshine Coast flies under the radar as one of BC’s best food destinations. 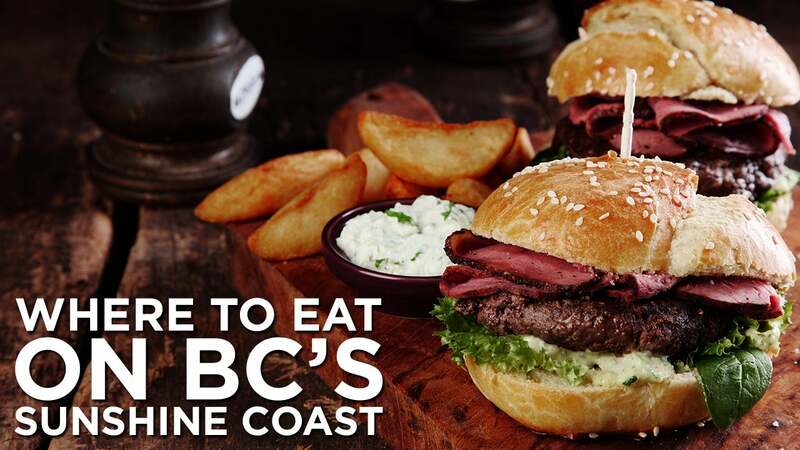 Here are seven recommendations for where to eat on the Sunshine Coast. It’s a crime against Canadian pop culture to not stop by Molly’s Reach in Gibsons. But if the Beachcombers are before your time, check out Pauline and Cheryl’s Fish and Chips in the Landing or the new 101 Brewhouse and Distillery in Upper Gibsons. Up the highway, there’s the iconic Gumboot Café in Roberts Creek and newcomer The Wobbly Canoe in Davis Bay. In Sechelt, visit the Lighthouse Pub and watch seaplanes land and take off while enjoying a view of the Sechelt Inlet. The Grasshopper Pub in Pender Harbour is a favourite summertime destination for motorcycle enthusiasts. There’s also an amazing deck that overlooks the ocean. Those are just a few of my recommendations for the Sunshine Coast. If you have a favourite, leave a comment below and let me know which is your go-to for a great meal.